Earrings, always wear identical clothes. There are truly some astounding acts at the Global Touring Circus, such as Castor and Pollux Baumann, two German identical twins who are strongmen and contortionists who can support their own weights on a single finger. The twins are keen and dangerous performers, who use every single opportunity to show off their skills. Their role on the Vipera team is the muscle. 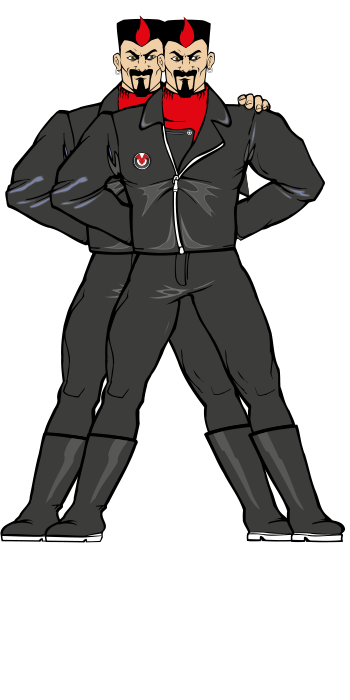 Their job is to protect Dr. Divider and to perform any task which requires near-superhuman strength. Dr. Divider was particularly delighted to find twins with such incredible strength, as he is truly terrified of the day when Captain Euro corners him and they have their final physical showdown. They dexterity and strength carries with it advantages outside of the circus ring. Their penchant for dangerous acrobatics and tricks means that they absolutely love vehicles. The Twins cannot resist indulging in hair raising, dangerous acrobatics with their aircraft, and typically serve as the pilots/drivers for the Vipera team. Their fearlessness and lack of any sense of danger also makes them the perfect cronies to send on extremely dangerous missions. Dr. Divider particularly enjoys devising high-profit, high risk missions which would result in near-certain capture and death, and then watching the Twins return from those missions unscratched; always to his immense profit. They revel in the number of “one way ticket” missions which they have returned from, loving to make a mockery of that term. 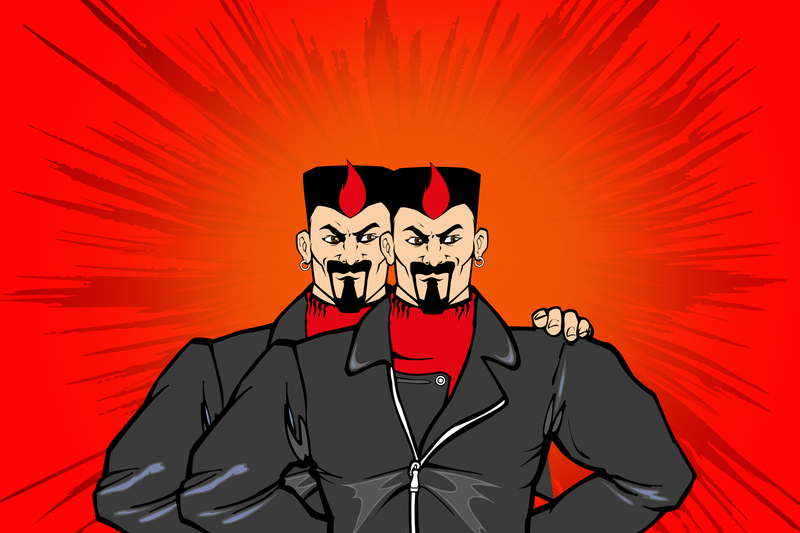 Despite being identical twins in physical appearance, Castor and Pollux, personality wise, are extremely different from one another. While both are equally arrogant and hot-headed, they often approach issues from very different angles, causing frequent disagreements which often end in a quick punch-up between the two. Their violent arguments often land the Vipera team in dangerous situations, particularly if, at the time, they are at the controls of a vehicle. To a degree, they attempt to compensate for these ideological differences by always dressing the exact same; and you would never be able to properly tell them apart aside from one subtle difference; Castor always wears his earring on his right ear, while Pollux always wears his on the left ear. The Twins are strong. Real strong. Some might describe them as near-invulnerable. Over their long careers as violent thugs, they’ve received punishment that could have easily killed even the strongest of men. The truth is, that even though Captain Euro and his team have more than the martial arts and technical capability to fight the Twins, they will still have a near-impossible time bringing them down, due to their tank-like nature. 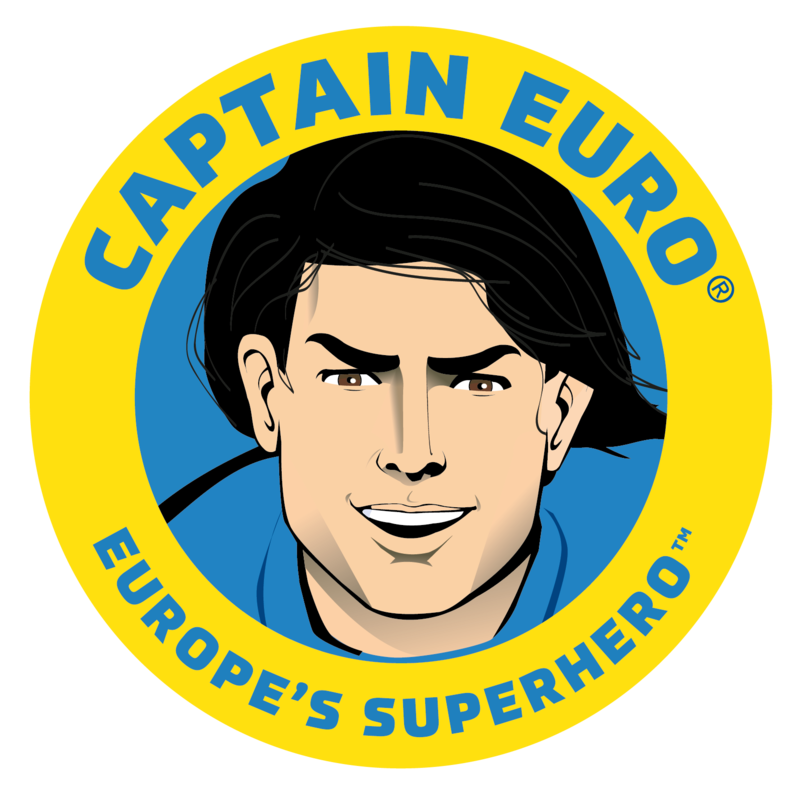 Captain Euro knows that to get to Dr. Divider, he cannot fight the twins, but must avoid or evade them; a fact that Dr. Divider is actually woefully unaware of. The Twins cannot dish the punishment to the same degree that they can tolerate it, but you still would absolutely not want to take a hit from them.